Tulsa Firearms Indoor Range is the area's first and finest place to practice your skills. With 24 smoke free lanes, your bound to find an open lane to shoot 7 days a week. 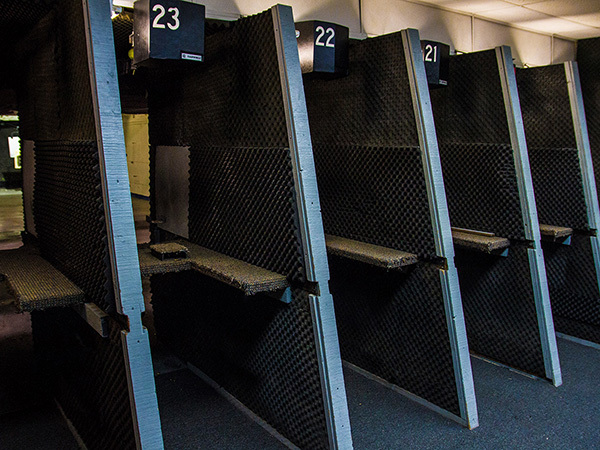 We have 18 pistol lanes that are 50 feet in length and 6, 25 yard long rifle lanes in completly separate areas. Having unique areas for Pistols and another for Rifles, means a better experience for our customers. Our electronic retracable target systems make it easy to adjust your target distance for different types of practice. The indoor range is temperature controlled so it's a great place to get away from the heat in the Oklahoma summers, or stay warm in the winter!